Slim and tone your waistline with this killer 6 minute abs workout! No equipment needed at all, you can do this one at home and see the results for yourself. 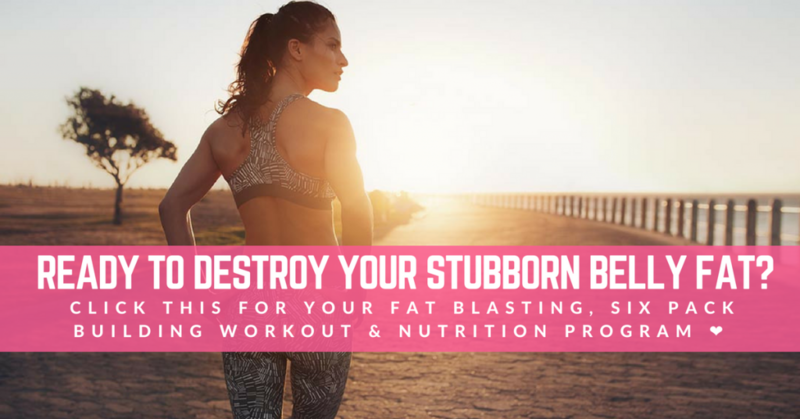 In just six minutes, you’ll feel your abs burning like hell! 1. Lay flat on your back, with your feet extended in front of you. 2. Bend your elbows, placing your hands at the side of your head (you can rest them behind your head, never pull on your neck)! 4. Cycle between bringing your opposite elbow and knee to each other, whilst extending your other leg outwards as shown. Your legs should circle around like they would if you were riding a bike. 5. Make sure to twist your torso, tensing your abs as you make a cycling movement. 6. Each time you’ve completed a cycle of each side, that is one rep. The jackknife is another great exercise for our 6 minute abs workout, hitting the full length of your ab muscles. 1. Lie flat on your back with your hands stretched out above your head. 2. Engage your ab muscles, raising your torso and keeping your arms beside your head until the top of your crunch. 3. 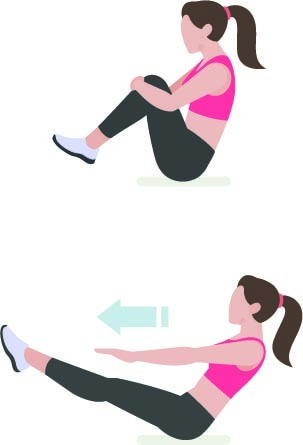 At the same time, use your abs to raise your legs towards you whilst keeping them straight. 4. When you’re at the top of your crunch, continue to move your arms around to the side of your legs, tensing your abs in this position. 5. Slowly reverse this movement, lowering your legs and torso until you’re lying flat again. This is one rep.
1. Lie flat on your back on the floor or on a bench. 3. Tense your lower abs to raise one leg. 4. Alternate between raising each leg, lowering them to 1-2 inches above the ground. A flutter kick with both legs counts as one rep. This is a great variation on the high plank that also engages your legs and arms. 1. Start in a high plank position. 2. Squeeze your core, raising one arm up in front of you, and squeeze your glute to raise your opposite leg up behind you. Hold for 2-3 seconds. 3. Return your leg and arm back down to a high plank position. This is one rep. The crunch is a great base ab exercise for our 6 minute abs workout. Leg extensions are a great way to hit your lower ab muscles in our 6 minute abs workout. 2. Place your hands out in front of you and slowly lean backwards. Find the balance point where it’s hard to hold your legs out and you’re not falling over. 3. Tense your abs as you pull your legs in towards you. You can hold your knees a little for stability if you need. 4. Push your legs back out again to complete one rep.
1. Get into a push up position, with your hands on the floor below your shoulders, and your feet spaced slightly apart. Keep your spine in a neutral position. 2. Reach one arm out in front of you, tensing your core for stability. 3. Slowly tense your core and reach your arm under you, raising your hips at the same time as you tense your core. 5. Return your arm to its initial position. This is one rep. Repeat on the other side. Swimmers are a great way to work your core whilst giving your lower back a workout. 1. Lie on your stomach and squeeze your glutes as hard as you can, raising both legs off the ground. 2. Reach forwards with your arms, keeping your palms facing downwards a few inches above the ground. 3. Lift your alternate arm and leg up into the air, squeezing all of the muscles from your shoulders down to your glutes. This is one rep.
4. Repeat with the other arm rapidly. Nice article! The abs are easy to work but it takes a great deal of discipline and perseverance to achieve that envied 6 pack!